Home. 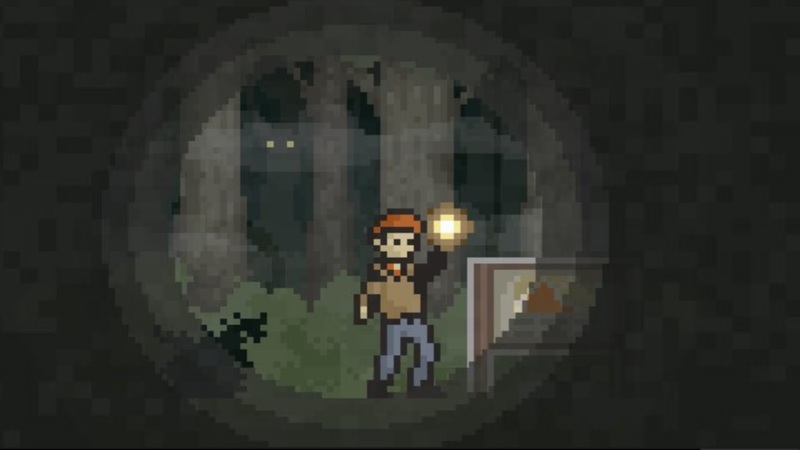 One of the few words in the English language that most people associate with feelings of safety, warmth and comfort... however that is not the case in this grim 8-bit indie horror adventure game. 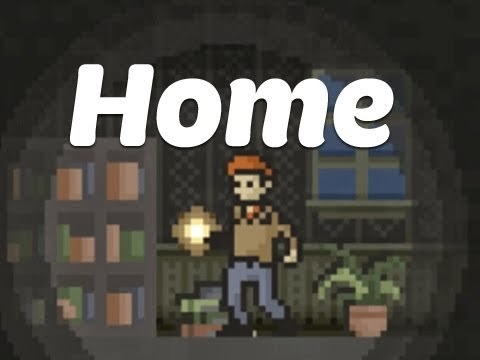 Home takes gamers on a thrilling murder mystery, one that adapts and changes based on the decisions and observances made by the player. Do you have what it takes to uncover the truth about what happened? Home. One of the few words in the English language that most people associate with feelings of safety, warmth and comfort... however that is not the case in this grim 8-bit indie horror adventure game. Home takes gamers on a thrilling murder mystery, one that adapts and changes based on the decisions and observances made by the player. Do you have what it takes to uncover the truth about what happened? 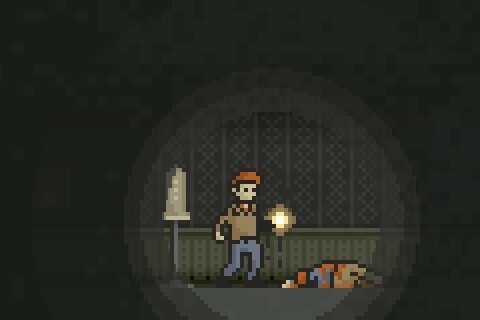 As the game begins the player will find themselves in a dim room, armed only with a flashlight as they control an unnamed man. Within minutes you stumble upon a dead body and it is clear that your goal is to find your beloved wife, Rachel, and figure out what has happened and who has been on a murderous rampage. The game gradually escalates from there, throwing in a few easy-to-solve puzzles along the way. There is no right or wrong way to play Home and not everything needs to be explored, full, partial or minimal completion is completely up to the player. A quick run through will take someone around half an hour to complete, while a fully in-depth examination can take up to two hours. The story line of the game evolves to these elements, creating a different outcome each time. Some of the items also leave a yes or no decision for the gamer to make, such as taking gun or leaving it, and choosing to jump down a broken ladder or finding a way to repair it first. For example, if you go through the game the first time and explore every possible element then you will come to certain conclusions of what happened to this unknown man and his wife, and if you run through it again while exploring minimal items and choosing different decisions than you did before, then you will end up with a radically different story line and a whole new perspective take on the situation. As you play through the game it changes subtly and the truths you uncover are subjected to your own out-look. At times, these changes are faint and other times they are drastic. The game play itself is smooth and can be played with either a keyboard or a USB controller, however sometimes the text dialogues appear twice when interacting with objects; a minor glitch, but one that can get annoying on repeat play throughs. The soundtrack and sound effects are simplistic, but effective enough to give a creepy vibe throughout the gaming experience; from storms to trickling water, a desolate forest and random banging. The graphics are modernized 8-bit and the creators did a great job in capturing subtle horror elements such as blood, rusty chains with hooks, fog and more. Though the game is visually appealing, especially to those who enjoy retro-feel games, it is the dialogue that really gives Home the creepy, surreal horror feel with dramatically detailed text that makes the game world come alive the more you explore. Home is a charming little excursion in horror. The game play, design and ingredients are simple yet more effective than many high budget horror tales. While the game is very short, the fact that Home evolves and adapts to the player's every decision and observance to emit a unique story each time it is played will keep gamers coming back again and again; whether it's for multiple plays in a row or a few now and a few later down the road. I was lucky and picked this gem up for $1.00 USD on sale on Steam, but it is worth every penny of the $2.99 USD price mark.